How much do Titans suites cost? Tennessee Titans suite prices are going to vary by the game. Prices for suites at Nissan Stadium typically range from $6,345 - $16,000 for Titans games. The price will vary based on day of game, opponent, and the location of the suite. Suite prices for concerts and other events at Nissan Stadium can vary widely based on the type of event. Nissan Stadium suites on the 300 level include 22 tickets and 4 VIP parking passes. Pricing for a 300 level suite will be less than a 200 level on average. Titans suites will provide guests with private entry into Nissan Stadium and exclusive access to stadium VIP clubs inside. A Nissan Stadium suite will feature in-suite wifi, HDTVs, premium theater-style seats and the option to purchase in-suite catering. Nissan Stadium suites are also going to be climate-controlled for your comfort. Nissan Stadium suites on the 200 level include 20 tickets and 4 VIP parking passes. With your Titans suite you have exclusive access to VIP club lounges and private entry into Nissan Stadium. A Titans suite feature interior lounge seating, exterior theater-style seats, private restroom, HDTVs and premium in-suite catering options. A Nissan Stadium luxury suite is also a climate-controlled environment and will include a dedicated suite attendant. In 2018 the Tennessee Titans will look to carry over the momentum from the end of last season, when they advanced to the AFC Divisional Round. The Titans keys to success last year were a stout defense, ground and pound running game, and the improvement of young quarterback Marcus Mariota. In 2018 the Titans will look for the same formula to help them take the next step in the postseason. Marcus Mariota hopes to continue his emergence as one of the better and more versatile quarterbacks in the NFL. Last year’s playoff experience should help him mature as a leader and a passer, helping this offense improve even more. After releasing DeMarco Murray, the Titans signed running back Dion Lewis to add depth to the backfield behind Derrick Henry. Henry has emerged as a ground and pound back that can carry the load in the running game. Lewis, who is a great pass catcher out of the backfield, will complement Henry nicely. With Lewis, tight end Delanie Walker, and wide receivers Rishard Matthews and Corey Davis, the Titans should have a very balanced aerial attack. On the defensive side of the ball, the Titans signed Malcolm Butler to bolster an already strong secondary led by Kevin Byard, Logan Ryan, and Adoree’ Jackson. In the linebacker corps, veterans Brian Orakpo and Derrick Morgan will hold down the defense. And of course, 3x Pro Bowler Jurrell Casey is a force to be reckoned with on the defensive line. At Nissan Stadium the Tennessee Titans will welcome in the Houston Texans, Jacksonville Jaguars, Indianapolis Colts, New York Jets, New England Patriots, Philadelphia Eagles, Washington Redskins, and Baltimore Ravens. Tennessee Titans suite rentals include 20 tickets and 4 VIP parking passes. With a Titans suite at Nissan Stadium, you have exclusive access to VIP club lounges and private entry into the stadium. 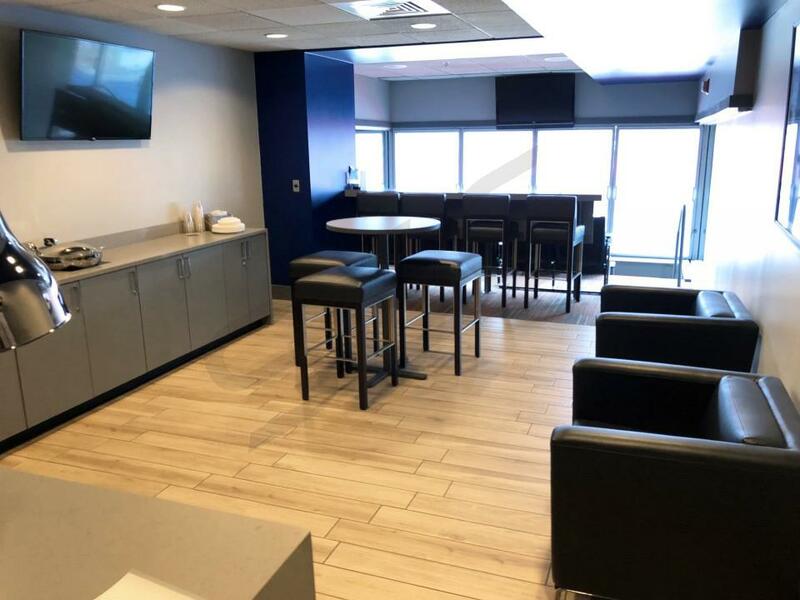 Luxury boxes for Titans games feature interior lounge seating, exterior theater-style seats, private restroom, HDTVs and premium in-suite catering options. Another bonus to renting a Titans suite is being able to be in a climate-controlled environment. The 2017 Tennessee Titans are making sure their young quarterback has the weapons he’ll need to shine this season. Marcus Mariota already has a strong offensive line and running game behind DeMarco Murray and Derrick Henry but now he has a couple of extra teammates to throw to. The Titans drafted WR Corey Davis fifth overall in the NFL Draft, making Davis the first receiver selected in the 2017 draft. When the third round came along, the Titans added to their wide receiver corps again by selecting Taywan Taylor. Last season, Rishard Matthews proved to be an excellent acquisition and Tajae Sharpe showed improvement as his rookie season went along. Throw TE Delanie Walker in the mix and Mariota could have a career year. Defensively, the Titans addressed another need in the draft by trading back in to the first round for CB Adoree’ Jackson. Jackson joins a Titans secondary featuring Jonathan Cyprien, Da’Norris Searcy and Logan Ryan. The Titans have great leaders on defense and veterans who understand the schemes put in place by coaches Mike Mularkey and Jon Robinson. Titans fans can always count on guys like Brian Orakpo, Derrick Morgan, Avery Williamson and Jurrell Casey. Here are the opponents coming to Nissan Stadium in 2017 to face the Titans: Oakland Raiders, Seattle Seahawks, Indianapolis Colts on Monday Night Football, Baltimore Ravens, Cincinnati Bengals, Houston Texans, Los Angeles Rams and the Jacksonville Jaguars. Suites and Special Events: Tennessee Titans suite rentals include 20 tickets and 4 VIP parking passes. With a Titans suite at Nissan Stadium, you have exclusive access to VIP club lounges and private entry into the stadium. 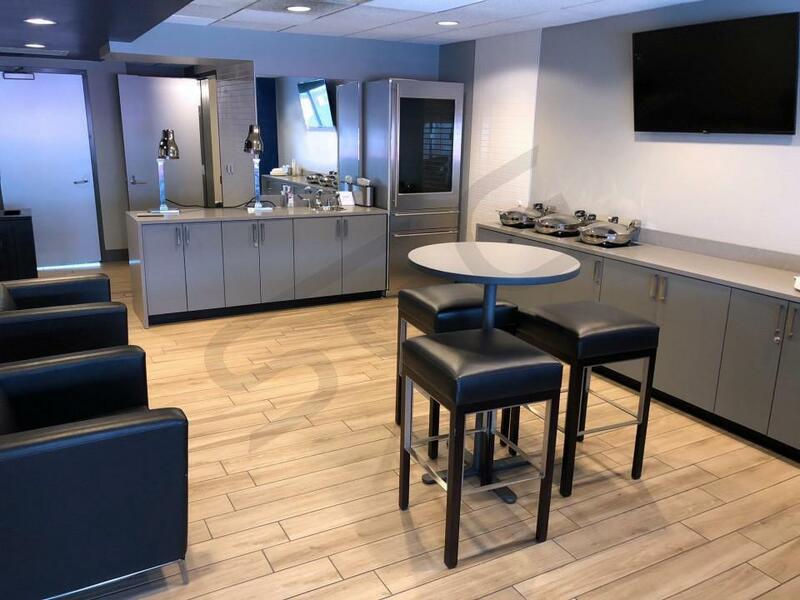 Luxury boxes for Titans games feature interior lounge seating, exterior theater-style seats, private restroom, HDTVs and premium in-suite catering options. Another bonus to renting a Titans suite is being able to be in a climate-controlled environment. Nissan Stadium will hold many events other than Titans games in 2017 such as the CMA Music Festival, Music City Bowl, Monster Jam, CONCACAF Gold Cup and the International Champions Cup (Tottenham Hotspur FC vs. Manchester City FC). Offense: Even though the Titans did not have an incredibly successful year as far as wins and losses go, they can undoubtedly categorize 2016 as a success because they found out that Marcus Mariota is going to be their franchise quarterback going forward. Mariota showcased both his playmaking ability and pocket passing skills, while throwingfor 19 touchdowns and 2,800 yards. To compliment their young quarterback the Titans brought in former Dallas Cowboy DeMarco Murray. Murray had a bit of a down year in 2015 rushing for only 702 yards and 6 touchdowns after leading the NFL in both categories the prior season. The Titans hope that Murray will perform more like the 2014 version of himself than the 2015 version of himself. Tight end Delaney Walker grew to be Mariota’s favorite target in the passing game. Walker had his best year yet finishing with 1,088 receiving yards and 6 touchdowns. With Mariota at the helm, the Titans should have a potent and exciting offense in 2016. Defense: The star of an otherwise unremarkable Titans defense was outside linebacker Brian Orakpo. Orakpo had a bounce back year after struggling through pectoral injuries in the past couple seasons, finishing with 7 sacks, 6 tackles for loss and 5 passes defended. With Orakpo terrorizing opposing quarterbacks the Titans will count on star defensive back Jason McCourty to have another exceptional year. McCourty had a frustrating year in 2015 missing 12 games while the Titans defense struggled. The Titan’s defensive captain should be back fully healthy in 2016, which will be a tremendous boost for the struggling unit. Schedule: At Nissan Stadium (formerly known as LP Field), the Tennessee Titans will host the following teams in 2016: the Minnesota Vikings, Cleveland Browns, Oakland Raiders, Indianapolis Colts, Jacksonville Jaguars, Green Bay Packers and Denver Broncos. Tennessee Titans suites include 20 tickets and 4 VIP parking passes. With your Titans suite you have exclusive access to VIP club lounges and private entry into Nissan Stadium. A Titans suite feature interior lounge seating, exterior theater-style seats, private restroom, HDTVs and premium in-suite catering options. A Titans luxury suite is also a climate-controlled environment and will include a dedicated suite attendant. Suites at Nissan Stadium provide the perfect setting for any occasion. Nissan Stadium will also host the Music City Bowl and CMA Music Awards. The Tennessee Titans finished 2-14 in Ken Whisenhunt’s first season as head coach. 2014 was the Titans worst season since 1994, that’s back when the Titans were the Houston Oilers. The quarterback position was a struggle for most of the season. Jake Locker announced his retirement in the offseason after suffering too many injuries in the NFL. Zach Mettenberger stepped in and played reasonably well. Rookie running back Bishop Sankey finished with just two touchdowns and over 500 rushing yards. The Titans have very good young receivers such as Kendall Wright and Justin Hunter. With shaky quarterback play all season, neither Wright nor Hunter could really get going on a consistent basis though. The Titans added former Falcons wide receiver Harry Douglas to the team during the offseason. Tight end Delanie Walker led the team in receptions with 63 catches. Defensively, the Titans made a few notable signings in the offseason. The Titans added cornerback Perrish Cox and defensive end Brian Orakpo. The Titans also re-resigned their sack leader from last season, Derrick Morgan. The Titans are in a rebuilding phase in 2015 but should be able to improve from their 2-14 season. At LP Field, the Tennessee Titans will host the following teams in 2015: Houston Texans, Indianapolis Colts, Jacksonville Jaguars, Buffalo Bills, Oakland Raiders, Miami Dolphins, Atlanta Falcons and the Carolina Panthers. Tennessee Titans suites include 20 tickets and 4 VIP parking passes. With your Titans suite you have exclusive access to VIP club lounges and private entry into LP Field. A Titans suite feature interior lounge seating, exterior theater-style seats, private restroom, HDTVs and premium in-suite catering options. A Titans luxury suite is also a climate-controlled environment and will include a dedicated suite attendant. Suites at LP Field provide the perfect setting for any occasion. Thank you for signing up for specials at Nissan Stadium. Enter your email address below to stay in touch. We'll sign you up for our newsletter, which will inform you of the latest inventory and events at Nissan Stadium. We promise we will never sell or distribute your information. 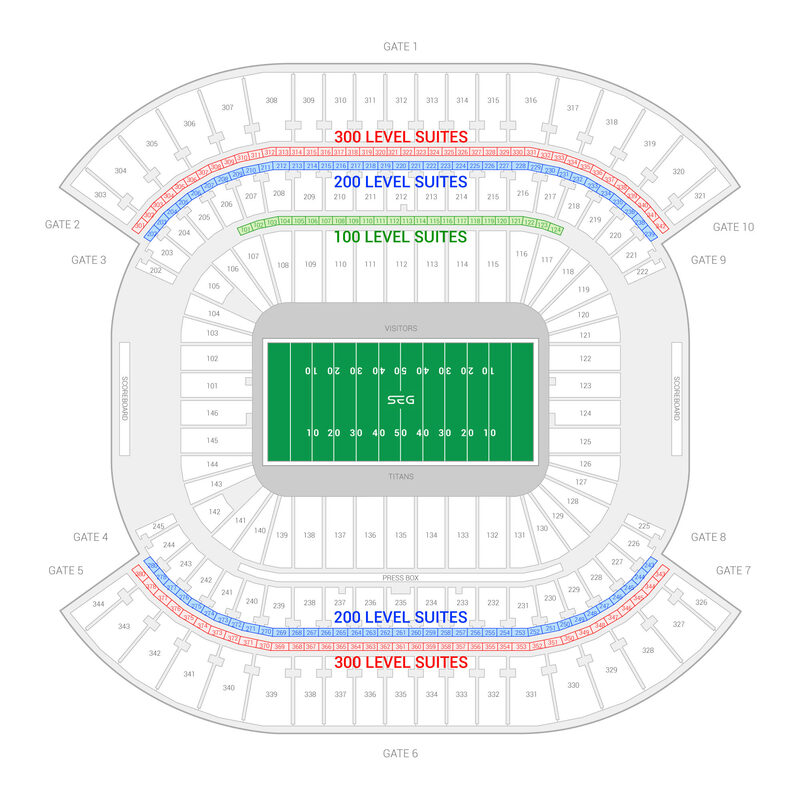 The seating chart below shows where the Tennessee Titans suites at Nissan Stadium are located.